Bring turkey to room temperature, clean and pat dry. Cut onion & celery stalks then insert into turkey cavity. Clean fresh herbs and stuff 2 sprigs of each in to turkey cavity along with the garlic cloves. Pour some Butter Olive Oil under the breast skin, then use remaining amount of olive oil to cover entire outside of turkey. 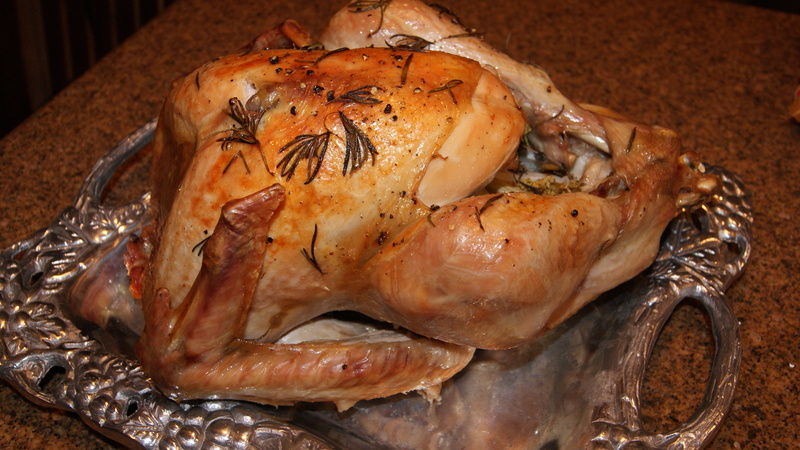 Sprinkle with sea salt and pepper then sprinkle remaining herbs on outside of Turkey. Bake at 325 at 20 minutes per pound.